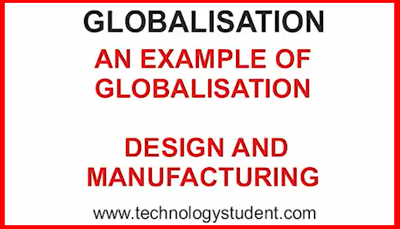 Another feature of globalisation is the internationalisation of design, manufacturing and the market place. 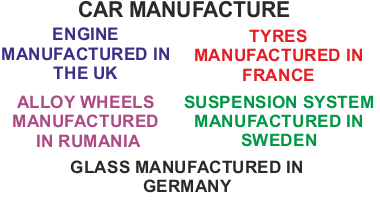 In simple terms, a product may be designed in one country, with the manufacture of its component parts and final assembly taking place in a number of countries, across the world. 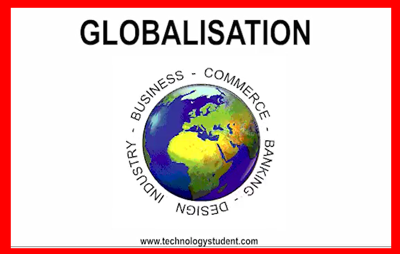 The market place for the product may also be international. Increased availability and variety of products. Cultural diversity, as people move around the world following employment. 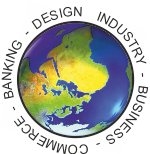 Flow of technical skills from one region of the world to another, filling skill gaps. Increased trade and corresponding economic success. Increased pollution and environmental damage, as the world makes economic progress. 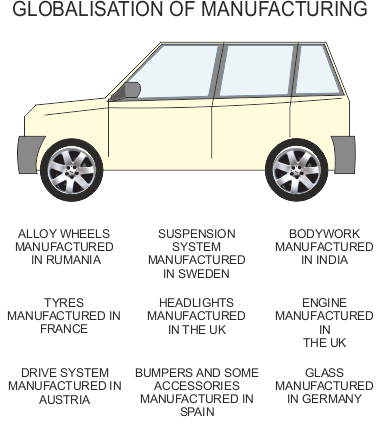 Some companies move their manufacturing to countries where labour is cheap. Working conditions and Health and Safety decline as a result.